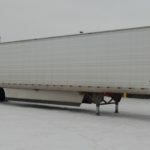 Conveyer Agricultural Trailer - Kingpin Trailers LTD. 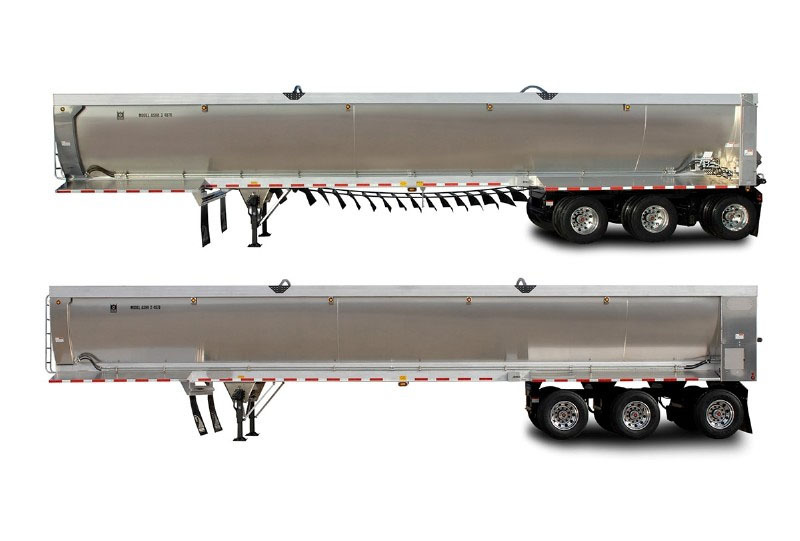 Featuring an aerodynamic design, the Rolled-Side Aluminum Super Hi-Lite Trailer is one of Trail King’s best products for moving agricultural commodities. Achieve reduced cross-contamination between loads with our smooth continuous belt model, paired with raised belt flanges and a spring-loaded belt scraper. Choose the lightweight segmented belt model and you will still experience the fast and clean horizontal rear discharge enabled by the full height High Molecular Weight (HMW) plastic wall liner available on both models. 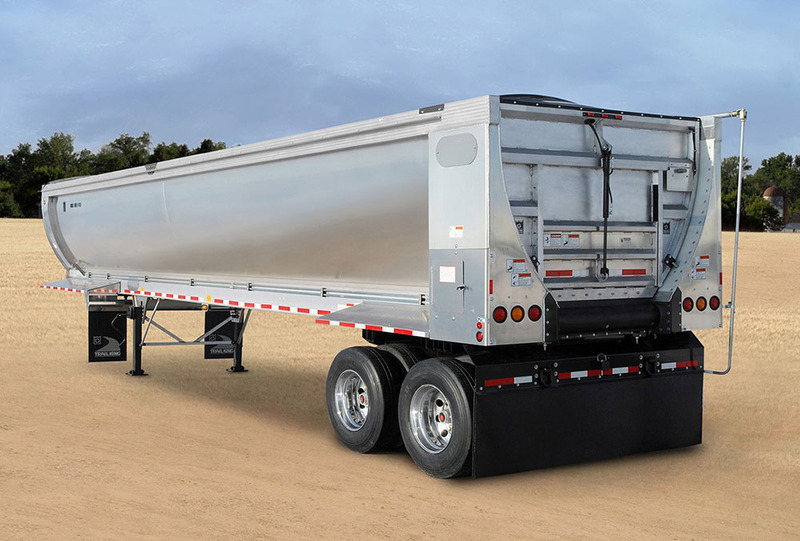 The ASHR models also offer reliable and low maintenance performance with either the pintle chain or heavy-duty roller chain system and superior tailgate seal against the trailer body. All models come with level controls for the tailgate function and variable rate of flow control. Hydraulic cylinders provide security and efficiency. Includes rear work lights for after dark operation. Safely access the body of the trailer and convenient storage on the sides. 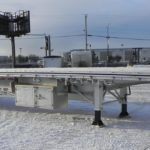 Double reduction gearbox on all models comes in single or dual drive depending upon belt width and payload requirements. 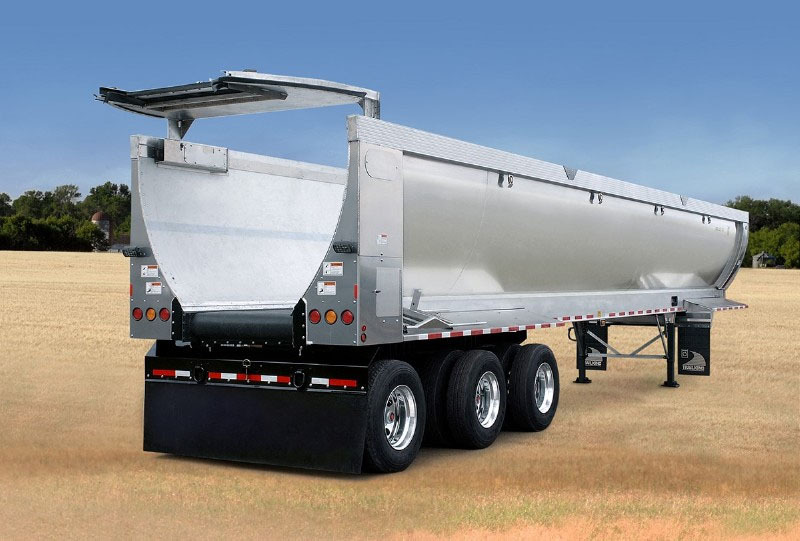 Unloading your load is efficient and controlled with this enhanced feature. Spring-Loaded Belt Scraper Standard on Continuous Belt models only. Experience a cleaner belt and reduced cross contamination of different products. (A) Continuous 48″ Rubber Belt with veneer edge and stainless steel fasteners. (D) Hydraulic Tap Chain Oiler.